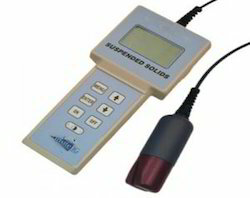 We are involved in offering a wide variety of high quality Suspended Solids Analyzer to our clients. 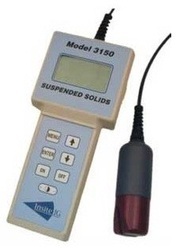 The Model 3150 Suspended Solids Analyzer is a handheld analyzer designed for the measurement of suspended solids in aqueous solutions. The Model 3150 portable suspended solids analyzer is a state of the art, easy to use meter that provides many benefits to the plant operations staff real-time TSS for better process control.